Drivers in the Houston-area community of Cleveland, TX, now have another option in their search for a new or used vehicle. Robbins Nissan, located in nearby Humble, serves as the Nissan dealer near Cleveland, TX, offering a terrific selection of both new and used vehicles as well as easy online or on-site financing. We at Robbins Nissan are excited to offer our services to the nearby community of Cleveland, and we believe that the short trip to our dealership is well worth the drive to find your next terrific Nissan vehicle. We at Robbins Nissan have long cultivated terrific relationships within the communities of the Greater Houston area, and are excited to extend this relationship to Cleveland as well. As a part of the Robbins family of dealerships established in 1928, we at Robbins Nissan bring a wealth of expertise and a solid reputation in the area for courteous and dependable sales and service. We also offer a number of online resources to assist in the search for your next vehicle, including vehicle research pages, model comparison pages, and valuable financing information. To learn more about the many options and resources available to you at Robbins Nissan, who proudly serves the Cleveland community, visit our dealership today in Humble, TX. At Robbins Nissan near Cleveland, TX, we feature a large number of the nation’s most popular vehicles, representing a wide variety of customer needs and interests. Looking for an amazing SUV? 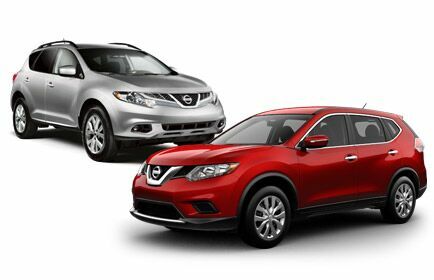 With options such as the Rogue and Armada, we at Robbins Nissan feature many options to suit your search. Also available are sedans and passenger vehicles including the popular Nissan Altima and Nissan Juke, each of which offers drivers in the Cleveland community its own set of unique charms. Of course, not all auto buyers are in the market for new Nissan vehicles, and for this reason, we at Robbins Nissan also feature a wide variety of Certified Used Nissan vehicles, each of which is subject to a comprehensive 150+ point inspection to ensure that your vehicle will be the best you can find at any area dealership. Also, each Certified Used vehicle is required to be under six model years old and to have under 80,000 miles on its odometer. For drivers in the community of Cleveland, TX, whether you desire a new or Certified Used vehicle, we at Robbins Nissan have the vehicle for you. At Robbins Nissan, we feature on-site, confidential financing to ensure that your vehicle purchase will be as quick and painless as possible. We understand the many concerns that prospective buyers frequently face during the purchase of a new or used automobile, and do our best to allay those concerns. We also feature frequent leasing and pricing specials to assist in this endeavor as well. To learn more about the many ways we at Robbins Nissan can help get the citizens of Cleveland, TX, into a terrific new or used Nissan vehicle, we encourage you to stop at our dealership today!